The Las Vegas Sun tells the story of a group at the University of Nevada, Las Vegas, that is a part of HYPER. Helping Young People Experience Recovery is a program started in 2011, to help college students with their recovery after receiving treatment for their substance abuse problems, whether the treatment was sought voluntarily or by way of a court mandate. College students getting drunk and experimenting with drugs has long been held as a ritual rite of passage, celebrating the transition from the restrictions of the teenage years to the freedom of being an adult. The reality, however, is that the prevalence of addictive substances on university campuses, and the stresses of all-nighters, peer pressure, and parental expectations can turn a rite of passage into a nightmare that can lead to psychological scarring, dropping out of school, or even death. This a problem that is plaguing higher education institutions around the country. 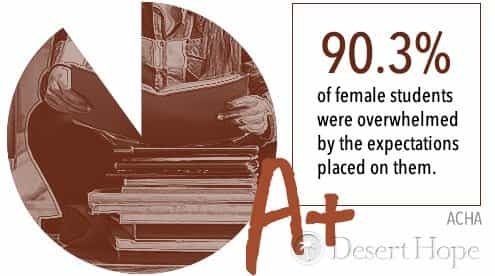 To a degree, the problem is a creation of the system of higher education: The Huffington Post calls it “The Dark Side of America’s Achievement Culture,” where students – still young men and women – are pushed and driven to the point of crippling mental strain. Some make it through with flying colors; others slump over the finish line, exhausted and bitter. Some cope with alcohol or drugs, encouraged or enabled by their friends and parents; some take their own lives. It is hard to imagine any kind of public college or university that doesn’t have some presence of alcohol on its campus. The Journal of Drug Education writes that many students see consuming alcohol as a deep-rooted part of their identity, and one that may put them at odds with their peers if they choose to abstain (or even drink moderately). At the University of Nevada, Las Vegas, the associate vice president for student wellness tells the Las Vegas Sun that the college students he counsels typically attribute their substance abuse to peer pressure. A pediatrician and director of the Adolescent Substance Abuse Program at Boston’s Children’s Hospital tells NPR that alcohol is how students socialize with friends. But problems arise when the “excessive use” of alcohol becomes a “key ingredient” of college life. The words are from the Quinnipiac Chronicle, which also reports that excessive alcohol consumption is usually the reason behind public safety complaints and calls to campus security. Some of those complaints are related to sexual assaults, of which NPR says there is “no question” that alcohol is involved. Students in their first or second year of college have brains that have not yet learned how to temper the drive for stimulation and reward. Put a brain like that in an environment that celebrates temptation, in a city known as Sin City, and alcohol goes from being a social lubricant for coming-of-age, to a spark that can burn down a forest – or undo weeks, months, or even years of hard work. One of the students at the University of Nevada, Las Vegas’s chapter of Helping Young People Experience Recovery confessed that a single drink might cause a relapse. The impulse for stimulation and reward can cover everything from sexual experimentation, to making the move from shots at the bar to lethal drugs. 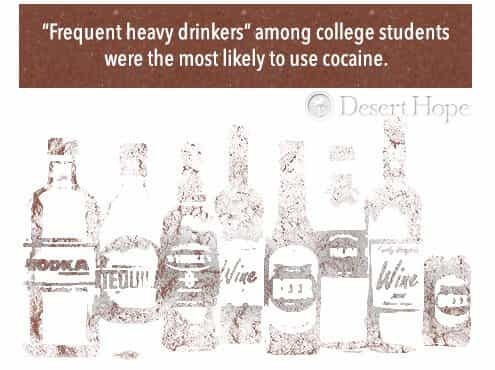 In 1991, the Southern Medical Journal reported that “frequent heavy drinkers” among college students were the most likely to use cocaine. This was found to be even more likely if the students were members of Greek (fraternal) organizations. According to a 1995 study conducted by the Harvard School of Public Health, membership of a fraternity or a sorority was, by a sizeable margin, the biggest predictor of binge drinking behavior on college campuses. Now consider that in Las Vegas, which FOX News says is “wild all year round,” the parties become even more intense during spring break. The liquor doesn’t stop flowing, outrageous behavior is the name of the game, and the very essence of what Las Vegas is, and represents, contributes to the Strip being a potentially dangerous cocktail for ushering in the summer season. One of the risks associated with spring break is that of binge drinking, which both Forbes magazine and ABC News referred to as the “biggest danger” of the event. A man drinking more than five drinks in two hours would be engaging in binge drinking; for a woman, the threshold is four drinks within the same timespan. Research published in the journal Psychology of Addictive Behaviors, published by the American Psychological Association, suggests that drinking on spring break was connected with “alcohol-related consequences,” even with typical drinking and sexual contact taken out of the picture. Some of those consequences are terminal. Every year, says Forbes, 1,825 college students between the ages of 18 and 24 die from alcohol poisoning brought about by binge drinking. On a national scale, the statistics are worrisome. They become much bleaker when Las Vegas’s infamous reputation is taken into account. In Sin City, says the Review-Journal, “Vegas clubs are drowning in money, as a nation comes to binge drink.” In 2014, Vegas bars and clubs made a total of $612 million. Miami came in a very distant second, at $192 million. And they may be primed to make even more. 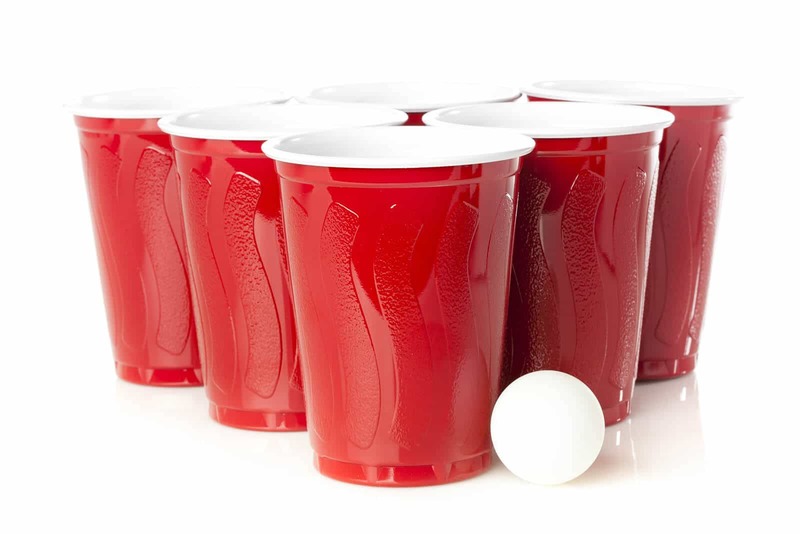 The Review-Journal notes that in light of increasing amounts of violence in traditional spring break strongholds like Tijuana, Mexico, Las Vegas is presenting itself as the place to be for college students looking for beer pong and around-the-clock parties. While alcohol is the chemical cornerstone of the college experience, changing cultural attitudes toward (and misconceptions of) drugs have opened the door for other substances to make their presence felt on college campuses. 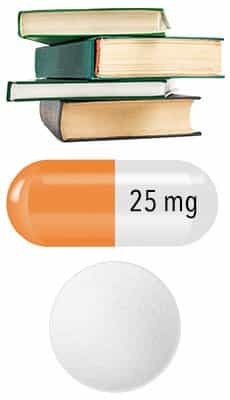 The biggest offender facing students are prescription medications like Adderall and Ritalin, which are given to patients who have medical conditions such as attention deficit hyper disorder or narcolepsy. The amphetamine content in these drugs helps patients to calm their racing thoughts and behaviors; but for a person who has not been diagnosed with either condition, they provide a boost of mental focus and alertness that can help a student pull an all-nighter without succumbing to exhaustion. A key issue surrounding college students taking these drugs is that they often do so, under the apprehension that there is nothing wrong with the practice. Since Ritalin and Adderall are legally distributed as prescription medications, they carry none of the stigma of harder drugs like cocaine or heroin. Such is their popularity that students on some campuses have created a black market for selling the drugs, charging more per pill (or per bag) during finals week. But not only would taking “study drugs” present an unethical advantage, the health risks posed by off-label consumption of drugs that significantly change the normal functioning of the brain make Adderall and Ritalin a deadly risk for stressed or opportunistic students to take. Live Science explains that the reason Adderall, for example, has to be prescribed by a doctor is because it has a high potential of leading to physical and psychological dependence in its users. For that reason, the US Drug Enforcement Administration places Adderall in the same schedule of drug regulation as cocaine. Nonetheless, the myth persists that Adderall is not only safe, but that it is “definitely not a drug,” in the words of a study that reported the results of a survey of 175 students at a large urban research university, who were convinced that using ADHD medication without a doctor’s prescription was neither medically nor ethically compromising. For most people, the idea of Adderall being as likely to cause an addiction as cocaine would be enough to dissuade them from taking Adderall if they didn’t need to. But if a person was feeling the burden of expectations to get excellent grades; if their attention was simultaneously spent on family, friends, a girlfriend, and career development; if their brains had not yet evolved to the point of properly balancing risk and reward; and if they were in a culture that condoned and encouraged taking Adderall because everyone else was doing it (and because it is “definitely not a drug”) – someone like a college student, in an environment conducive to substance consumption, like Las Vegas – then taking Adderall to prepare for a final, or to stay up all night to make a deadline does not seem like such a bad idea (because Adderall – even though it is on par with cocaine – is “definitely not a drug”). In the same way that alcohol is not the only potentially dangerous substance that can be abused on Las Vegas college campuses, neither are Adderall or Ritalin the only prescription drugs that students take off-label in an attempt to do better. While stimulant medication abuse (such as Ritalin and Adderall) saw an increase of illicit use by 93 percent between 1993 and 2005, the Clinton Foundation reported that abuse of opioid painkillers – Vicodin, OxyContin, and Percocet being the kinds commonly prescribed to the elderly, people with chronic pain, and those with stress problems – has increased by 343 percent in that same time period. While what is known as the opioid epidemic has reached national levels and prompted calls for action at the highest levels of government – deaths from overdosing on prescription medication outnumber fatalities as a result of heroin and cocaine abuse, combined – the cauldron of college campuses presents as exceptionally notable risk for creating an environment conducive to substance abuse. In a city like Las Vegas, of 30,000 students “parading beer bottles and smoking weed” (in the words of the Las Vegas Sun, indulging in the wave of prescription medication abuse sweeping the country may seem not only tempting, but a natural thing to do. In the words of the Clinton Foundation, college students are “disproportionately affected.” The problem is so great that under President Barack Obama, 191 schools of nursing at academic institutions around the country – including the University of Nevada, Las Vegas – will, starting in fall 2016, require nursing students in advanced practice programs to take “some form of prescriber education,” according to guidelines set out by the Centers for Disease Control and Prevention, before they graduate. While this is a significant volley in the fight against the opioid epidemic, a cause for concern is that UNLV is the only college in Nevada that is participating in the program at this time. This is despite a federal investigation busting open an opioid smuggling ring in Reno as recently as April 2016, according to the Reno Gazette-Journal. In 2008, writes the paper, there was a “sharp increase” in the number of emergency room visits as a result of off-label use of prescription medication, particularly among people between the ages of 21 and 24. The Las Vegas Sun writes that substance abuse is “especially prevalent in Nevada.” The Substance Abuse Prevention and Treatment Agency, which tries to eliminate issues of addiction on behalf of the Nevada Division of Public and Behavioral Health, says that the state has some of the highest drug use among people between the ages of 12 to 17. The temptations and college life in Las Vegas cast an ominous shadow over a demographic that is already troubled. One dynamic of the problem is that adolescents, young adults, and college-aged students tend to feel deeply and fundamentally inadequate if they feel stressed. Addressing the alarming number of suicides by students who feel that they cannot compare (or compete) with more successful peers, The New York Times writes of a “life-threatening aspect of campus culture,” where any perceived imperfection might be the catalyst for falling on harmful methods of coping. Suicide is a possibility, but in a city like Las Vegas, there are always drugs and alcohol. The issue may be particularly exacerbated for female college students. In 2003, Duke University’s Women’s Initiative coined the term “effortlessly perfect,” which the Southern Communication Journal explained referred to how female students are expected to balance both academic and professional obligations, while simultaneously maintaining a feminine appearance and demeanor, being sexually active and responsible, considering their futures as wives and mothers, and laying the groundwork for their careers., In 2015, the American College Health Association found that 90.3 percent of female students were overwhelmed by the expectations placed on them. The medical director for the Las Vegas Recovery Center tells the Las Vegas Sun that college students in the area live in a “24-hour town.” A student feeling stressed out by an enormous workload, fatigued from all-nighters, pressured by expectations to accept sexual overtures, intimidated by the thought of finding a job and saving money for a family, or any number of other sources of emotional and mental strain, might see the shining lights of the Las Vegas Strip as an invitation to indulge in their weaknesses and temptations. “We have a feel-good environment,” says the Las Vegas Recovery Center’s medical director, an environment that is based on decades’ and generations’ worth of stories about dreams coming true and fortunes being made. But for a new era of college students, those dreams and fortunes come with a big caveat. However, even clouds in the desert have silver linings. Programs initiated at other schools in Nevada, like those at the University of Nevada, Reno, are being noticed by colleges in the Las Vegas area. UNR’s Nevada Recovery and Prevention program, which provides a “substance-free college experience” that is nonetheless fun and engaging for students, received official funding from the university’s coffers in 2015. What started as a few students getting together for 12-Step meetings, funded by contributions from a private foundation, grew to a large student base across two schools in northern Nevada. 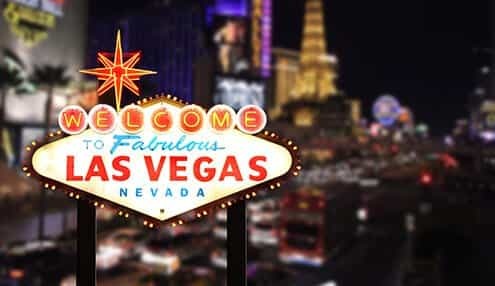 The success has been noted by other colleges with environmental factors – such as the proximity of the Las Vegas Strip – that may make some students prone to using drugs or alcohol to get by. An associate professor and academic coordinator at UNR’s Center for the Application of Substance Abuse Technology explains that the Nevada Recovery and Prevention program is focused on ensuring that students who want to remain sober do not have to do so in isolation. With such an emphasis placed on using alcohol or drugs to get to know other students (and the fear that by not partaking in consumption, there will be social consequences), programs like NRAP seek to reassure sober and recovering students that their college experience – even in a place like Las Vegas – can still be inclusive, fun, engaging, and rewarding. NRAP focuses on helping students feel accepted, so they feel empowered to decline drinks and drugs, and still enjoy a thriving and happy campus life. Talking to Recovery Campus, the project coordinator for NRAP explains that his program looks at sobriety, not just recovery, because students can choose to abstain for a variety of reasons, including those that are cultural, religious, or aesthetic. Being that encompassing encourages students in recovery to feel like they have other people they can talk to and lean on for support. Such a dynamic is crucially important in recovery and sobriety for adults; it is even more of a game-changer when the person involved is in their late teens or early 20s. This way, when campus events take place – whether big ones like football games, or small ones like simply going out on the weekend – sober students know that they will be among others who share their perspective and values. They can enjoy their activities in safety, knowing that if they are tempted to drink, they will be surrounded by trustworthy people who can intervene. The need to belong and be accepted by peers is a fundamental part of human nature. For a college student, away from home and away from family, this need can manifest in ways that are not always healthy. However, having sober friends can make a big difference in how the desire to be received by others is presented. Programs like NRAP, which are being developed in schools across the Las Vegas area, such as the University of Nevada, Las Vegas and the College of Southern Nevada in Henderson, help to create a healthy and positive environment for people seeking sobriety to make connections that could last for a very long time. “Is Modern Las Vegas Really “Sin City”?” (January 2014). Las Vegas Review-Journal. Accessed April 30, 2016. “The Dark Side of America’s Achievement Culture.” (February 2015). The Huffington Post. Accessed April 30, 2016. “Alcohol Is A Social Lubricant, Study Confirms.” (July 2012). Health. Accessed April 30, 2016. “Why Students Drink.” (November 2013). University of Minnesota. Accessed April 30, 2016..
“Alcohol Abuse as a Rite of Passage: The Effect of Beliefs About Alcohol and the College Experience on Undergraduates’ Drinking Behaviors.” (2006). Journal of Drug Education. Accessed April 30, 2016. “Cheap Drinks and Risk-Taking Fuel College Drinking Culture.” (September 2014). NPR. Accessed April 30, 2016. “The Unofficial College Culture: Alcohol Considered “Rite of Passage.”” (March 2013). The Quinnipiac Chronicle.Accessed April 30, 2016. “Alcohol and Cocaine Use Among First-Year College Students.” (January 1991). Southern Medical Journal. Accessed April 30, 2016. “Study Ties Binge Drinking to Fraternity House Life.” (December 1995). The New York Times. Accessed April 30, 2016. Spring Break’s Greatest Danger. (March 2014).ForbesAccessed April 30, 2016. “Wild Las Vegas Pools Reopening for Spring Break.” (March 2013). FOX News. Accessed April 30, 2016. “Spring Break’s Biggest Danger? Binge Drinking.” (March 2013). ABC News. Accessed April 30, 2016. “Preliminary Examination of Spring Break Alcohol Use and Related Consequences.” (December 2010). Psychology of Addictive Behaviors. Accessed April 30, 2016. “A Sober Assessment of High-Risk Drinking on College Campuses.” (December 2012). Forbes. Accessed April 30, 2016. “Vegas Clubs Are Drowning In Money, As A Nation Comes To Binge Drink And Hook Up.”(February 2015). Las Vegas Review-Journal. Accessed April 30, 2016. “Las Vegas Reaches out to College Students Looking for Cheap Fun.” (March 2010). Las Vegas Review-Journal. Accessed May 3, 2016. “Just Say Yes? The Rise of ‘Study Drugs’ in College.” (April 2014). CNN. Accessed April 30, 2016. “Illicit ‘Study Drugs’ Tempting More Students.” (n.d.) ABC News. Accessed April 30, 2016. “Just Say Yes? 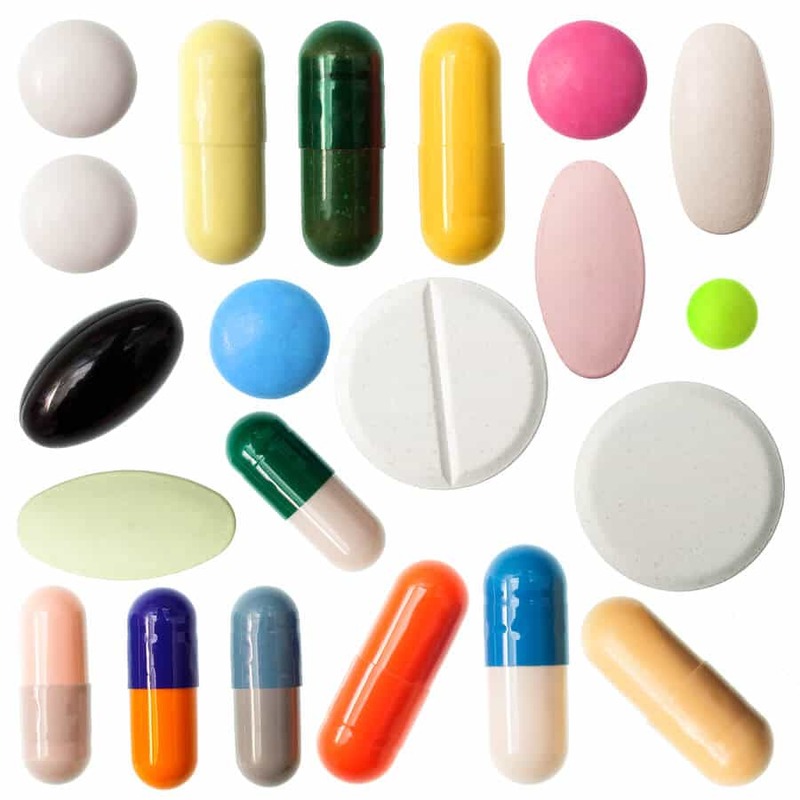 The Rise of Study Drugs in College.” (April 2014). CNN. Accessed April 30, 2016. “Adderall: Uses, Abuses and Side Effects.” (March 2016). Live Science. Accessed April 30, 2016. “’Adderall Is Definitely Not A Drug’: Justifications for the Illegal Use of ADHD Stimulants.”(2010). Substance Use and Misuse. Accessed April 30, 2016. “A Rising Epidemic on College Campuses: Prescription Drug Abuse.” (January 2014). The Clinton Foundation. Accessed May 1, 2016. “FACT SHEET: Obama Administration Honors Americans Leading Efforts to Stop the Prescription Opioid and Heroin Epidemic.” (April 2016). The White House. Accessed May 1, 2016. “Reno Doctor And Eight Others Charged In Illegal Prescription Drug Distribution Case.” (April 2016). United States Department of Justice. Accessed May 1, 2016. “What You Should Know About the Painkiller and Opioid Abuse Epidemic.” (April 2016). Reno Gazette-Journal. Accessed May 1, 2016. “Suicide on Campus and the Pressure of Perfection.” (July 2015). The New York Times. Accessed May 1, 2016. “Pressure to be Perfect: Influences on College Students’ Body Esteem.” (July-August 2010). Southern Communication Journal. Accessed May 1, 2016. “Abolishing “Effortless Perfection”.” (n.d.) National Education Association. Accessed May 1, 2016. “Spring 2015 Reference Group Executive Summary.” (2015). American College Health Association. Accessed May 1, 2016. “Making Every Student Welcome.” (August 2013). Recovery Campus. Accessed May 2, 2016.